In the year of 2003, I took a picture of one family in the foot of Changbai Mountain; this picture is my first work of Chinese Family Stuff. In 10 years, I’ve visited most parts of China, and took pictures of 40 families. I hope to use this way to make people directly read the different Chinese families’ assets, stuffs and living status, and see the relationship of people, house, environment and society. Those families’ annual living expense differs from 700 to 200,000 Euros. During past ten years China is under high speed economic development, apartment price in cities increase 5-8 times, commodity price also raised a lot, many new and modern things emerge in Chinese families, and however some of stuffs have been always remained. From the pictures you may see that people in different area own different kinds of family stuffs, and they keep the characteristics of nationalities. They are happy to take photos with their furniture and stuffs in front of their house. From their face you could feel their happiness; most of them are satisfied with their lives, happiness is not directly related with wealth. People believe that house is their most important family stuff, and the things which meet the daily demand are actually not so much. 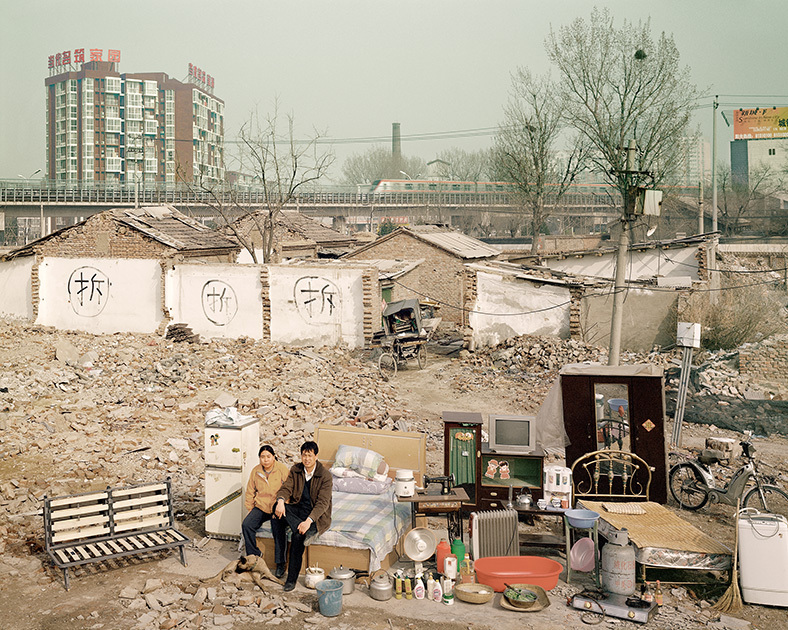 These seemingly paradoxical scenes are in fact what have been hidden during the transformation of Chinese society. Without the Family Stuff that is clearly shown in one picture to straightforwardly penetrating the viewers’ vision, we would have ignored some of the material content of Chinese families, or think little about it. Therefore, I hope to use photographic images to interfere with our consciousness. Every part of the Family Stuff is a testament to the faith and condition of life in contemporary China, an evidence of those that have changed and remained during the modernization process. Between the reality and the imagination, Family Stuff finds the logic of our existence through visual enlightenment, confirming the particular presence of China under the grand global change.